Home > Realty- High Rise Buildings > Focus on Safety Measures in High-rise Buildings..! Focus on Safety Measures in High-rise Buildings..! With several property developers in our metros developing skyscrapers of 150-250 metres and more, an increasingly pressing question being asked by property buyers is whether they safe. This is an obvious and natural concern, given the increasing incidence of fires, earthquakes and building collapses that the media throws at us fairly regularly. Let us take a closer look at this. As opposed to the scenario seen in more developed countries, is India lagging behind with implementing strict norms for the structural and fire safety for high-rise buildings? Actually, as we have seen in a recent case of a residential tower in London, this can present a challenge even in such global cities. However, considering the rapid pace of urbanization being seen in cities like Delhi-NCR and Mumbai, there is no doubt that strict and enforceable safety norms for skyscrapers are vital. While fire safety is one aspect, earthquake resistance of high-rises is a relatively lesser cause of concern. In India, most high-rise buildings are developed as per the local building bye-laws and NBC standards for structural safety, which are considered safe to withstand certain intensities of earthquakes. Of course, since most parts of India are located in seismic zones, it is very important for builders and structure safety authorities to ensure that construction is being done as per the prescribed standards. It can be said with a fair degree of certainty that developers have become quite cautious these days, and that most of them do conscientiously follow the guidelines for construction of earthquake resistant buildings. For the record, every high-rise building built in India today must mandatorily adhere to prescribed structural standards to ensure that they are safe and earthquake resistant. Developers must and do conform to all earthquake-related measures. In a country like India, lack of skilled labour and technicians, poor building designs, low-quality building materials - and, importantly, lack of reliable safety and fire-fighting systems - were justifiable causes for concern in the past. Let us take fire-fighting in a high-rise as a possible scenario. In a city suffering from chronic infrastructure deadlock, extinguishing a fire even on the 7th or 8th floor becomes difficult - leave alone a fire on the 25th or 30th floor. So, with what assurance can one buy a flat in a skyscraper in a city like Mumbai or Delhi? Obviously, it is not be possible for a lay individual buyer to do a complete safety audit of such a building. However, it is certainly possible to inquire about and study the basic fire safety and emergency evacuation facilities available in the project before choosing to live there. Then again, the fire safety of any building does not depend only on the safety and evacuation measures undertaken by the developer and the project management agency retained to manage the building. The dynamics of the location and state of the infrastructure there also play a huge role. There need to be adequate approach roads and avenues for fire-fighting vehicles. This can be a challenge in highly congested areas with chronic traffic issues, and it is unfortunately in such locations where skyscrapers are sometimes the only option for mass housing in the first place. In many areas of the larger metros in rapidly urbanizing India, high-rises are the only affordable option for people with constrained budgets - and indeed, there will usually be no options for low-rise buildings among the fresh supply coming in. 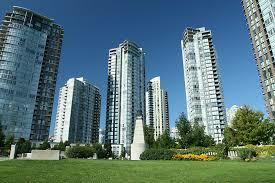 Basically, high-rises allow builders to reduce their land costs and churn out more units on a single plot. Skyscrapers are therefore more cost-effective for buyers on a unit-to-unit basis. However, indiscriminate development of high-rises in highly densified urban areas can also be very risky as it will invariably lead to infrastructure-related issues - with a direct impact on potential fire hazards. How Does RERA Help here? RERA has made it mandatory for building plans to be approved and made available to customers, along with all features and amenities. In the past, the safety of buildings was often compromised when builders developed open areas which were initially meant to be kept unused and open. This will now become impossible under RERA, as no changes to the original project plans will be permitted unless two-third of the existing property owners give their consent for such changes. Much can be said about this - but to cut a long story short, there is no substitute for awareness and due diligence. There are many questions that a buyer needs to ask before buying or renting a home in a high-rise residential building. The building's layout plans can also be studied by a competent expert. A lot of the guesswork can be taken out of the process by using the services of a reputed real estate consultancy to identify the safest options.